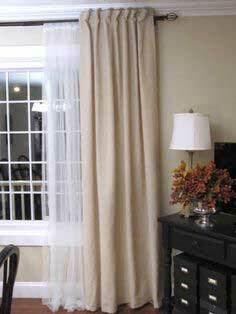 If you have an hour or two before your guests arrive, you can whip up a new window treatment for your kitchen, bathroom or guest room. 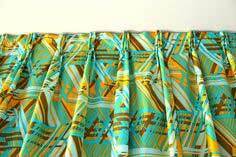 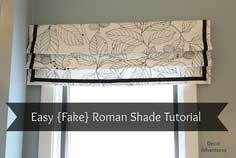 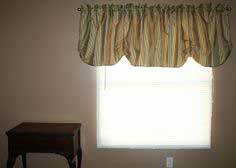 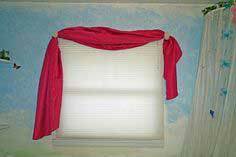 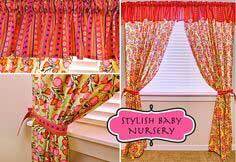 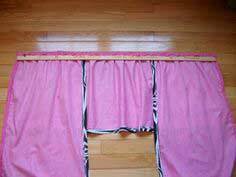 With simple plans and clear, easy instructions, you'll have a colorful new valance, no-sew curtain panels or grommeted curtains to brighten your room. 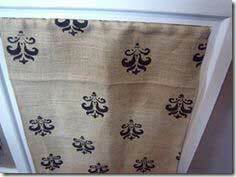 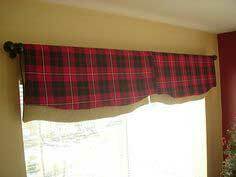 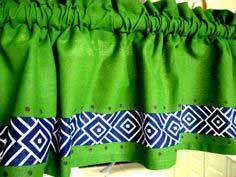 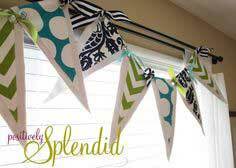 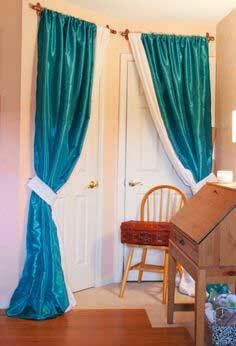 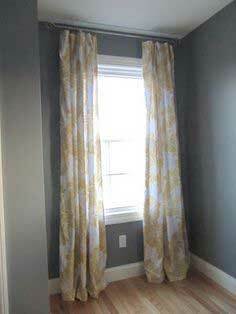 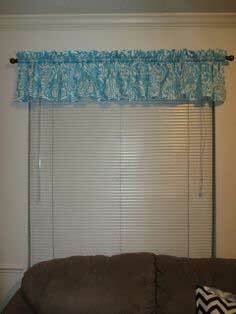 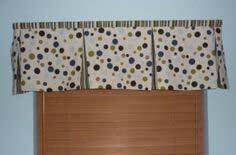 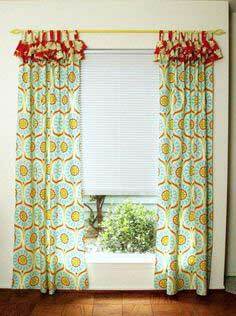 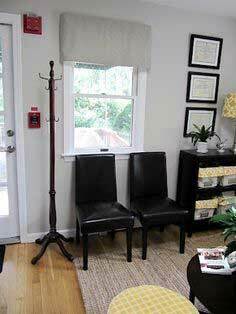 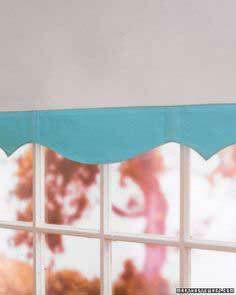 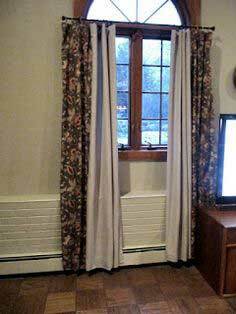 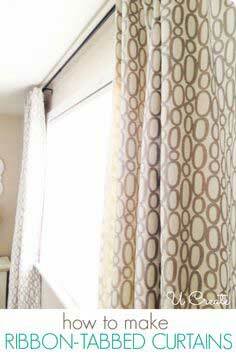 If you can wield a glue gun or a stapler, you can create no-sew valances that are made with upcycled thrift-store finds. 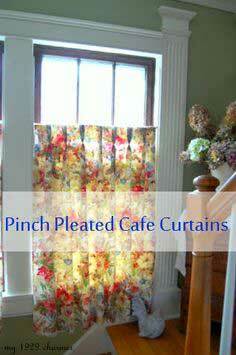 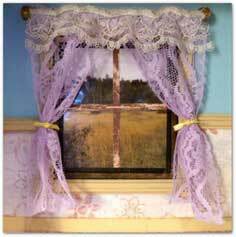 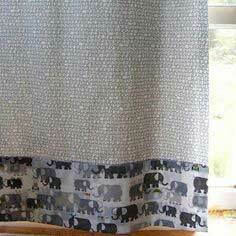 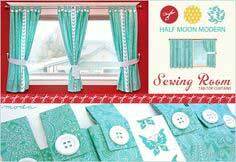 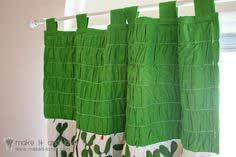 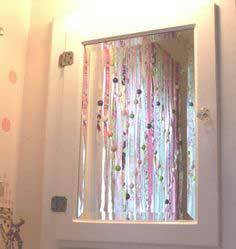 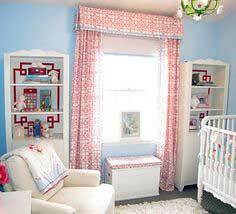 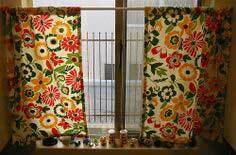 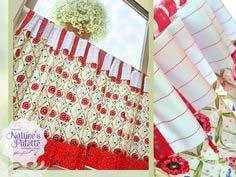 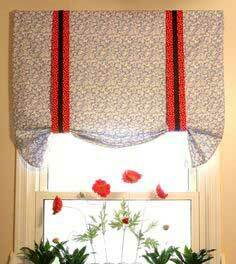 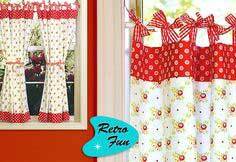 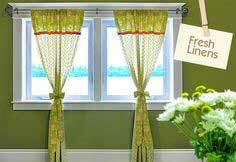 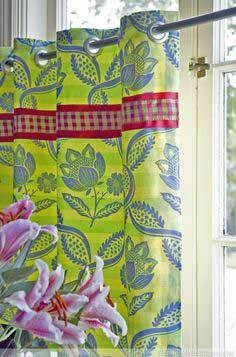 Use a gathered mini-skirt to make colorful kitchen curtains or collect vintage hankies to form a lacy and delicate valance. 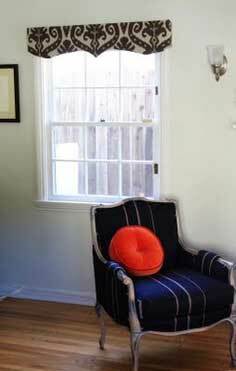 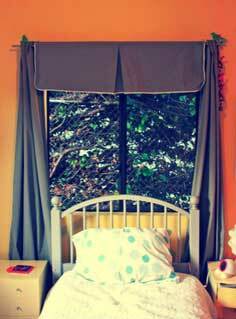 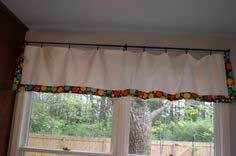 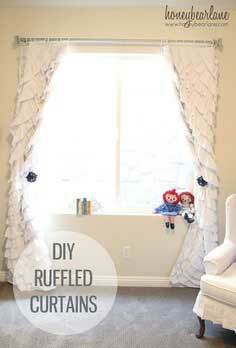 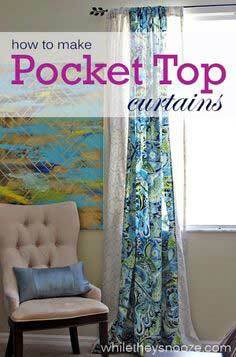 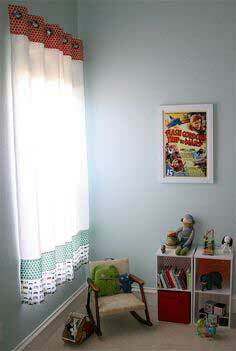 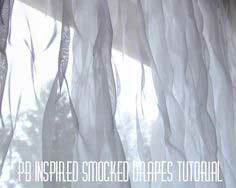 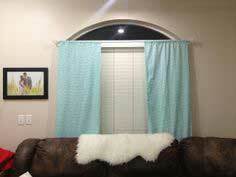 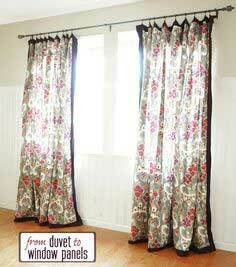 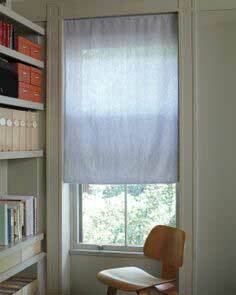 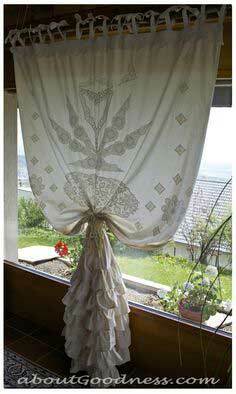 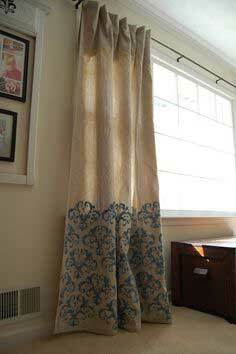 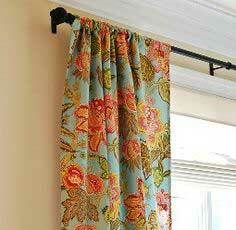 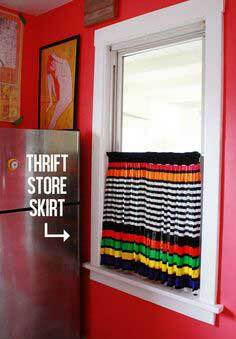 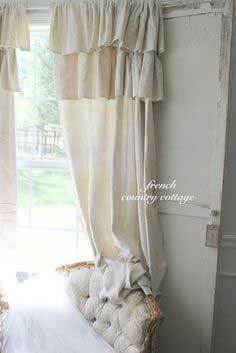 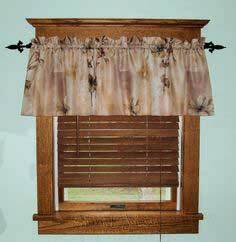 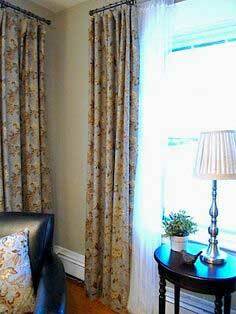 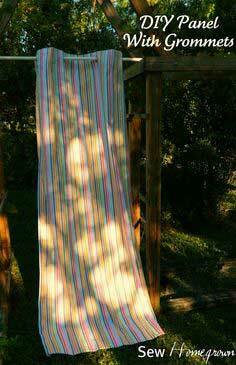 Use your sewing skills to repurpose a drop cloth into lovely natural-fiber curtains. 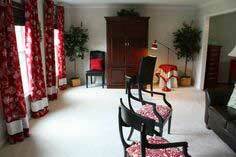 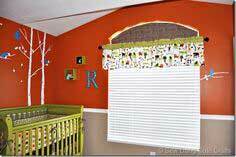 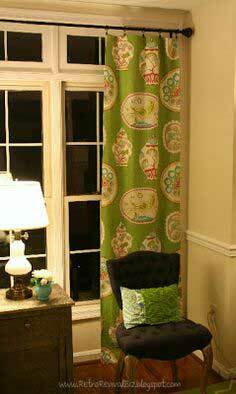 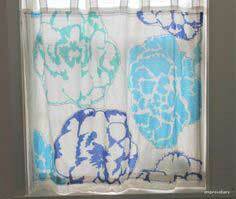 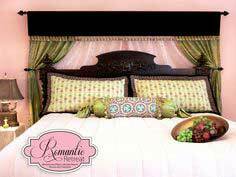 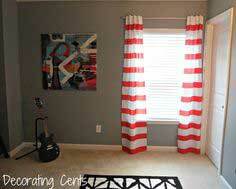 Stencil them to play up the accent colors in your room, or add a band of decorator fabric to give them extra style. 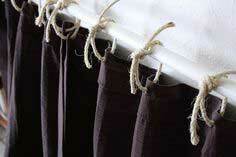 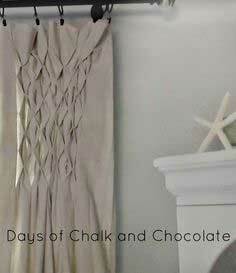 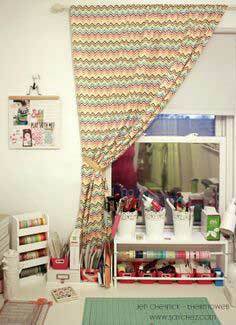 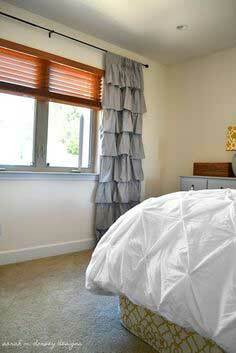 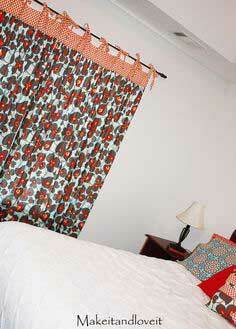 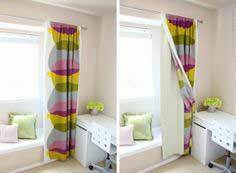 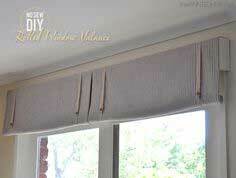 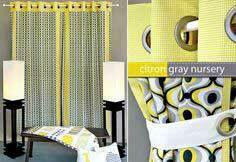 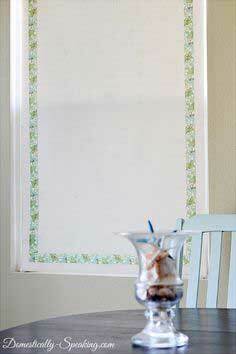 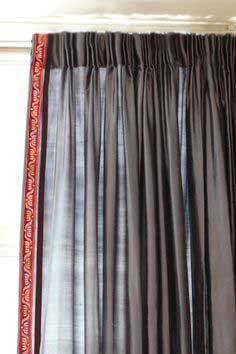 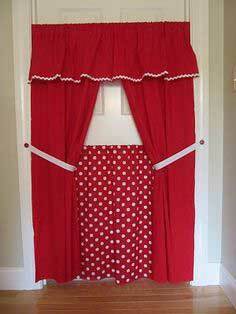 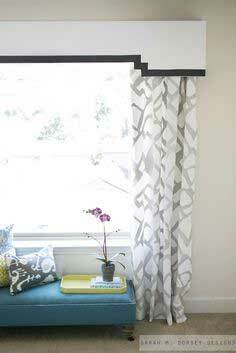 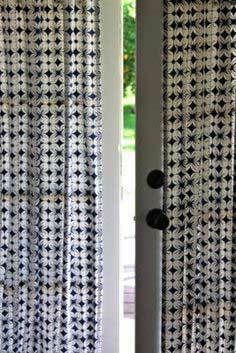 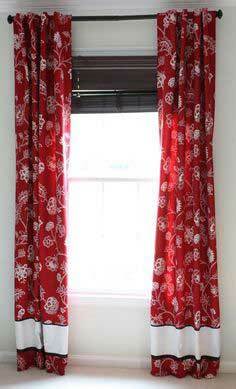 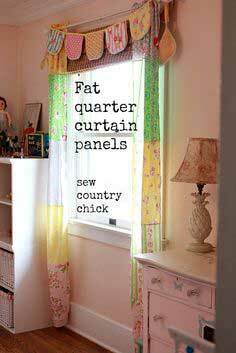 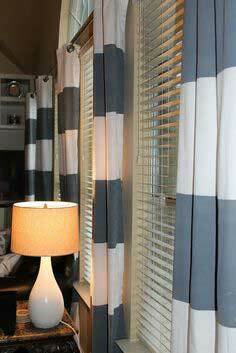 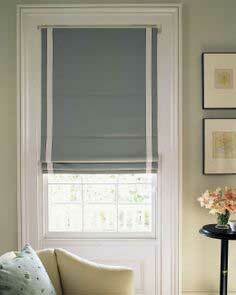 Use ribbon to create tab curtains or add a fashionable border of ribbons to frame ready-made curtain panels. 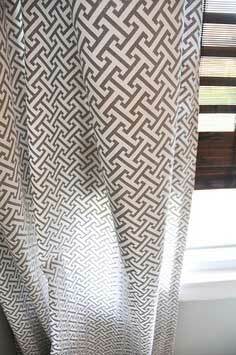 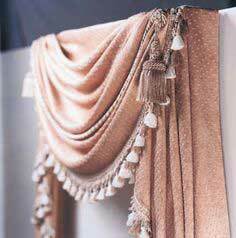 Tiebacks can really finish off your drapes, and there are loads of ideas to create custom tiebacks that give your room a designer look. 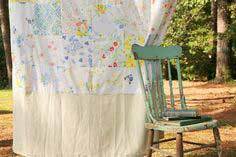 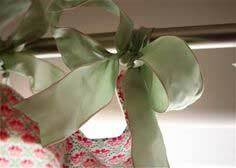 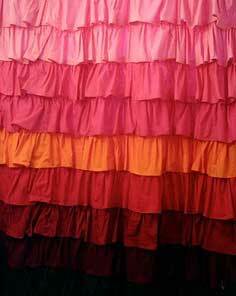 Suggested Fabrics: Cotton, duck, canvas, linen, lace, voile, homespun, upcycled fabrics, tablecloths. 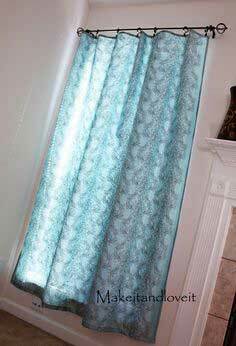 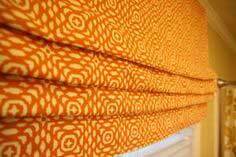 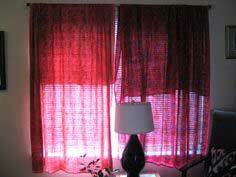 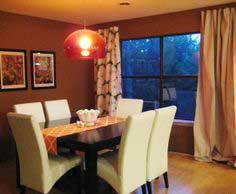 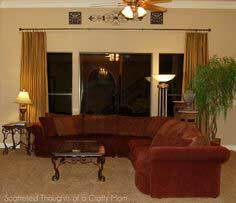 Window Treatment Patterns - Whether you sew like a pro or can't sew a stitch, you'll find window treatments to fit your style and budget when you check out this collection of colorful and innovative designs for curtains, drapes, valances, shades and more. 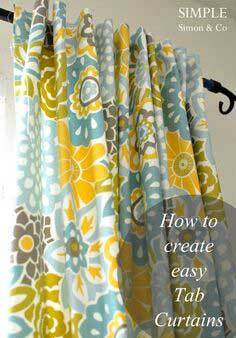 Sew Simply Bathroom Perk Up!